4000 lumen projector and 2m wide screen. 4000 lumen projector and 3m wide screen. 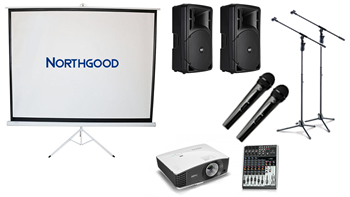 2 x 1000W 15″ speakers, 2 x wireless microphones, mixer, stands, cables, projector and 2m wide screen. 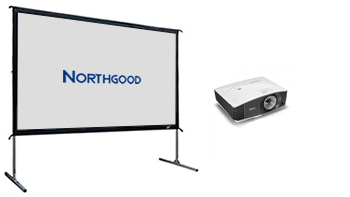 Projector and screen packages are suitable for indoor or undercover use and are powered by 240V wall sockets. 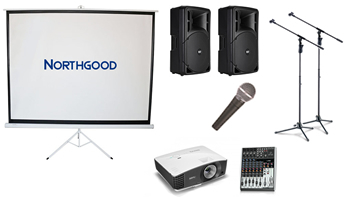 Audio visual presentation PA packages are suitable for indoor or undercover use and are powered by 240V wall sockets. 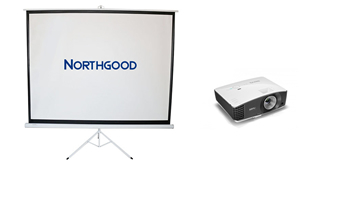 2 x 1000W 15″ speakers, 1 x wired microphone, mixer, stands, cables, projector and 2m wide screen. 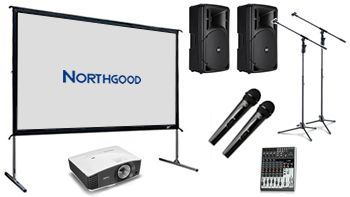 2 x 1000W 15″ speakers, 2 x wireless microphones, mixer, stands, cables, projector and 3m wide screen.